Operate a recirculating freshwater aquaculture facility. Monitor filtration systems and water quality, assist in diagnosis and control of disease, and raise fish to marketable size for Walt Disney World® restaurants. Maintain a tissue culture production facility. Prepare media and culture a wide variety of plants. Then, collect, package and deliver the tissue-cultured plants to Epcot® merchandise locations. 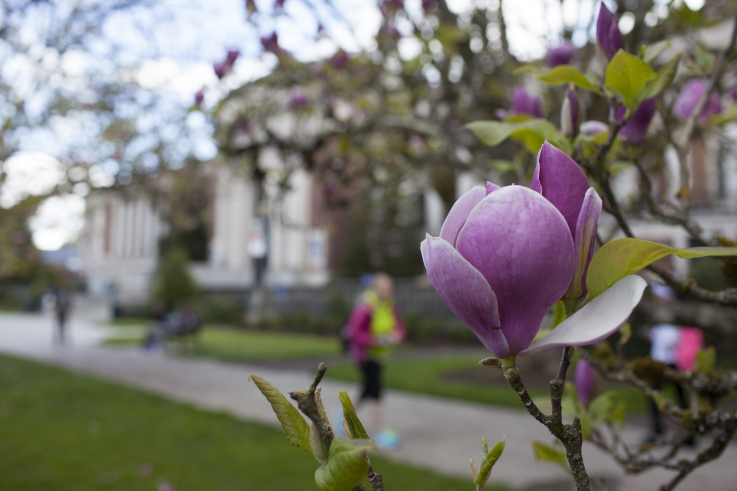 Become an integral part of The Land’s Integrated Pest Management program. Rear and maintain insect colonies, release beneficial insects into greenhouse crops, and maintain entomology-related shows. Maintain a high-quality show of hydroponically-grown food crops from around the globe. Seed, transplant, irrigate and prune plants; harvest produce for Epcot® restaurants; rake, sweep, and provide general cleanup of greenhouses. For more information check out the posting in Beaver JobNet. May 23rd is National Lucky Penny Day. 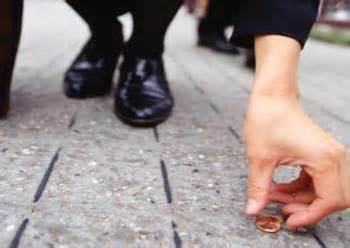 We are sure you have heard the phrase “see a penny, pick it up, all day long you’ll have good luck.” Well, that is the theme of National Lucky Penny Day! Common activities include walking and looking for pennies, and researching the history of the Penny. Fundraising has a lot to do with luck –speaking to the right people at the right time –but there is a good deal of strategy involved, as well. Here are some things to think about when you are fundraising for your group, event, or start up business. 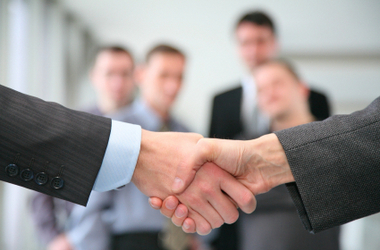 A great source of funding is securing a sponsor or an investor. Ask for money –it seems so simple. The important things to remember when asking someone to fund your mission are to be knowledgeable, flexible, and creative. Know your goals and be confident in them. You need to sound like you are operating a well-oiled machine and instill confidence in whoever you are pitching to. Your pitch needs to be creative and engaging but not harsh. 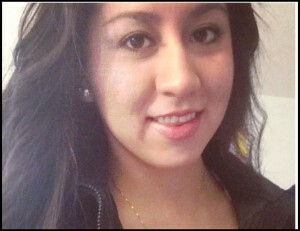 You should of course be tough and determined, but be adaptable and respectful too. You want to show them you value their time, but you want to show them you value your own time as well. In fundraising it is important to keep learning what works and what does not. In working with sponsors or investors, get over rejection quickly, learn from it, and go in again stronger. With other projects, take note of things that seem to be a better fit for your donors and your company. Keep the ideas flowing. It’s important not to put all your trust into one funding project, but there is a point at which you can have too many. You need to be in complete control of your funding plans, and not being able to contribute a significant amount of time to them will cause them to fail. For the smaller groups, there are many exciting fundraisers you can do through a simple Google search which will produce infinite results and ideas. It is great to try things that are unique –the car wash and the bake sale do not promote excitement like they used to. Creating funny fundraisers will encourage people to invest in your group or mission just because they trust you are innovative and organized. Some of my favorite new ideas I found within a moment of my search were “capturing” an individual who has to raise “bail” to be released, or planting plastic flamingo’s in a company’s or a family’s yard with a note saying you will remove them for a fee, and put them in another yard of their choosing. The possibilities are endless. It is important to make appropriate sacrifices when you are fundraising. You are expecting others to give up their funds to you, so it is fitting that you will give some things up, as well. Do not hesitate to put a little of yourself into your own project or group –be willing to give up your cup of Starbucks for a while and put that money to your mission. Or be willing to put your time into a rent-me-as-your worker fundraiser. Do what you can to connect yourself to your goal. In doing this, you are building trust with others and inspiring them to contribute. Donors are essentially giving to YOU. Hopefully you had a little luck this Penny Day and picked up a few. But for the rest of your funding needs, consider what options are out there, and remember the tips we shared. Engineering Intern Program: These summer internship assignments are open to students currently enrolled in a college-level Engineering, Concrete Industry Management or Construction Management program and working toward a degree in of these areas. • Assist in routine and non-routine analyses of in-process materials, raw materials, environmental samples, finish good and stability samples. • Calibrate , validate or maintain laboratory equipment. • Compile laboratory test data and peform appropriate analyses under supervision. • Complete documentation needed to support testing procedures including data capture forms, equipment logbooks or inventory forms. • Perform validations and transfers of analytical methods in accordance with policies and guidelines. • Contribute to process-improvement studies. 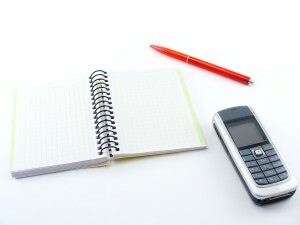 • Assist with field testing and customer interface. Junior level student in Engineering, Concrete Industry Management or Construction Management discipline. • Any experience with SAP ERP System. Greetings from Walt Disney World in Orlando, Florida! Just a few short months ago, I applied for an internship here at Disney World at the Disney College Program. I completed a web-based application and was then scheduled a phone interview. My head was spinning with confusion after the phone interview was scheduled, because I had never done an interview over the phone before. I have a very outgoing, cheerful personality, and I was worried that I wasn’t going to be able to relay those characteristics over the phone. I sat down with my roommates here at Disney World and talked to them about their own phone interviews and some tips they would give to those preparing for an interview over the phone. Make notes ahead of time & take notes during: My roommates, Maddie and Amanda, say writing down potential questions and answers before the interview proved to be most beneficial to them. They both wrote down short bullet points in regards to common interview questions such as “Why are you applying for this internship?” and “What would you say your number one skill is?” This can be helpful in all interviews, however, over the phone you have an advantage and are able to have the notes in front of you, so making sure they are well written and thought out can be helpful. Dana Schwartz, of Come Recommended Blog, also suggests using a hands-free device in order to take notes on important key points during the interview. Treat it like an in-person interview: Without the interviewer physically with you, it can be easy to lose that sense of professionalism. Dressing up as you would for an in-person interview can boost your confidence and ensure you are not losing that professionalism. The Come Recommended Blog also states that using a hands-free device can additionally allow you to use gestures that you normally would, helping you feel more natural and comfortable while on the phone. Whether you have a phone or Skype interview scheduled, or may have one in the future, the most important thing, like during in-person interviews, is to relax and be yourself! You want the interviewer to get a sense of who you are and how you will fit in with their company. On the phone and over Skype it may be a little more difficult, but with these tips and the right preparation, you will be just as successful as if you were in-person! OSU Career Services offers a convenient room and webcam set-up if you need a place for your phone or Skype interview! 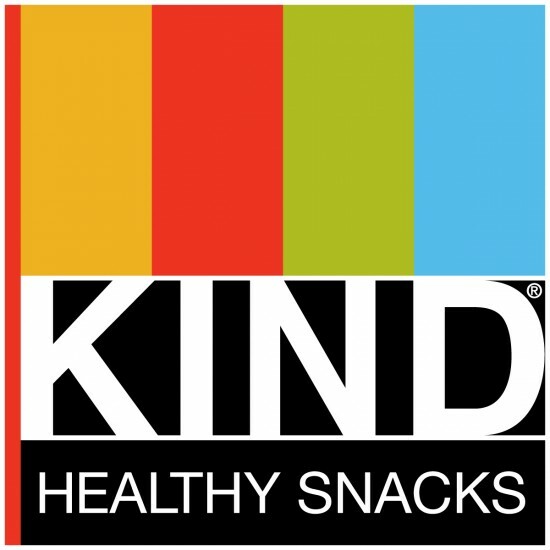 KIND Healthy Snacks is seeking outgoing, charismatic people to join our team of KIND University Brand Ambassadors! 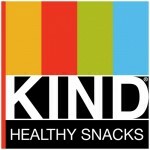 About Us: KIND Healthy Snacks is the company behind KIND Fruit & Nut, KIND PLUS and KIND Healthy Grains. KIND was founded on the principle of holistic kindness, and is proud to create new paths that avoid false compromises. Instead of “Or” KIND says “And”: healthy and tasty, convenient and wholesome, economically sustainable and socially impactful. KIND’s award-winning products and civic initiatives all stem from its desire to make this world a little kinder. In this spirit, the aspiration is for KIND to be not just a great brand of healthy snacks and foods, but a community and state of mind. (To learn more, please visit www.kindsnacks.com). How to land a job with your dream employer! Is there a specific company within your area of interest you have always dreamed about working for? Are you ready to start taking the necessary steps to get your foot in the door? Than follow these tips of advice and you will be heading in the right direction to land that dream job! Confidence is key! Whenever you are looking for a job and even more so when it is a job that you are very interested in it can be scary, but don’t take yourself out of the mix before it’s even started. Believing in yourself and your abilities and actually take the steps to apply. Of course it can be intimidating applying to a large company or an organization you have dreamed about, but take the chance! Networking: Most jobs that are available are not posted anywhere; individuals refer those they know to contact the individual in charge of the open position. That is why it is incredibly important to build professional relationships and connections with those within your field and at the company you hope to work at. This is the first step and one of the most important! Start setting up Informational Interviews and connect with those already in the field. A Good Fit: Make sure that you research the company you are hoping to gain a job at; you may think that the job is perfect for you but the environment also has to be a good fit. If you get an interview ask the current employees what they like the most about working there and what their favorite part of the job is, this will give you insight into the environment and nature of the company. Meet the Necessary Qualifications: In order to be suited for the job you have to have necessary experience and qualification or at least be able to speak to how your skills can transfer to the job responsibilities. Do your research on the background of current employees at the company; if their experience matches yours, you are likely to be more qualified for the job. Looking at the minimum qualifications will tell you right away whether you will be given an opportunity or if you need to gain more experience or different credentials. Intern will participate in design projects, attend fit sessions and assist with general product development and quality assurance tasks.